Rio Salado College | RioNews: Lemon Meringue & Key Lime Pie Workshop May 3! 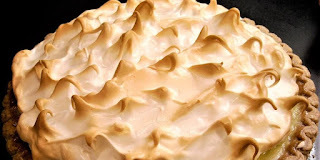 Lemon Meringue & Key Lime Pie Workshop May 3! Learn how to make two classic citrus pies in the final spring 2018 Rio Salado Community Development cooking workshop. The workshop takes place on Thursday, May 3, from 6-8:30 p.m. at Rio Salado College, 2323 W. 14th Street, Tempe 85281. You will learn how to make a lemon meringue pie in a traditional pastry crust, and a key lime pie in a graham cracker crust. Attendees will leave the class with a pie to take home! Rio Salado culinary workshops are designed for the beginner and are fun and low pressure. Workshops are hands-on and participants will be standing for the majority of the time. Workshops are generally made up of 16 students working in teams of four. Proper kitchen attire is required which includes: closed toe shoes, long pant and long or short sleeve shirt. Please restrain hair while in the kitchen. If you have questions please call 480-517-8470. The cost to register is $24.99 for one person, or $42 for two.